LUCA is able to accommodate beautiful private Luncheons for small or large groups. We can help you plan your events for weddings, private events, or even your corporate luncheons. Our private Alimentari room can host communal dinners for groups up to 30 guests. 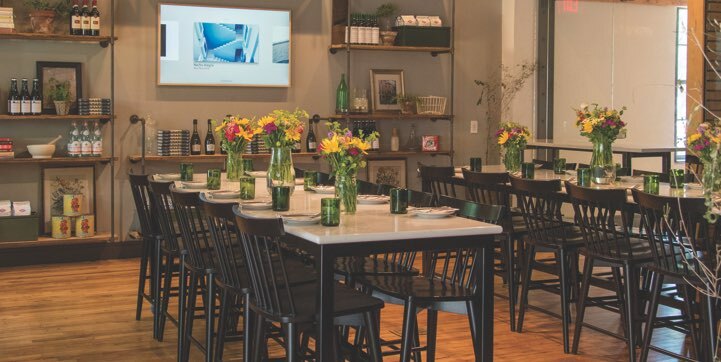 The Alimentari room offers an enticing space for intimate dinners, celebrations, and client meetings. Family-style dining for large parties (9 or more adults) is the most enjoyable option for large groups since it provides a unique communal-style dining event where each guest may sample and enjoy a plethora of dishes from the LUCA kitchen. You would be selecting the menu for the group ahead of time and it will be served in courses on larger plates to share. We offer a variety of per-person priced menus for you to create your meal from. You may also add customizable alcohol packages to your event. Children under the age of 10 may select choices from the LUCA menu and will be charged the menu price. We would be delighted to host you and your guests with us at LUCA! Through the button below, please provide us with some details, the date of your event, and group size. We will be in touch shortly to assist you! We request a minimum of 48 hours notice so we can create a menu with you for a communal dining experience. LUCA has a large parking lot on-site for our patrons. Please make an effort to find a spot in our lot before looking elsewhere. 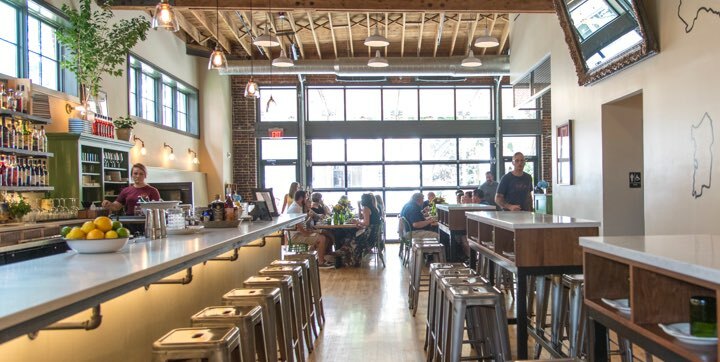 As a community-focused small business, we kindly ask our patrons to respect our neighbors and their residential parking adjacent to the restaurant. Street parking is available on Lemon St., Charlotte St., and College Avenue. James Street, across from our building, is permit parking ONLY Mon.-Fri., 6-10pm. LUCA is not responsible for Lancaster City administered parking fines. © 2019 Luca Italian Kitchen. All rights reserved. Website by Infantree.